I have a serious obsession with all things sandals, flip-flops, and barely-there footwear. 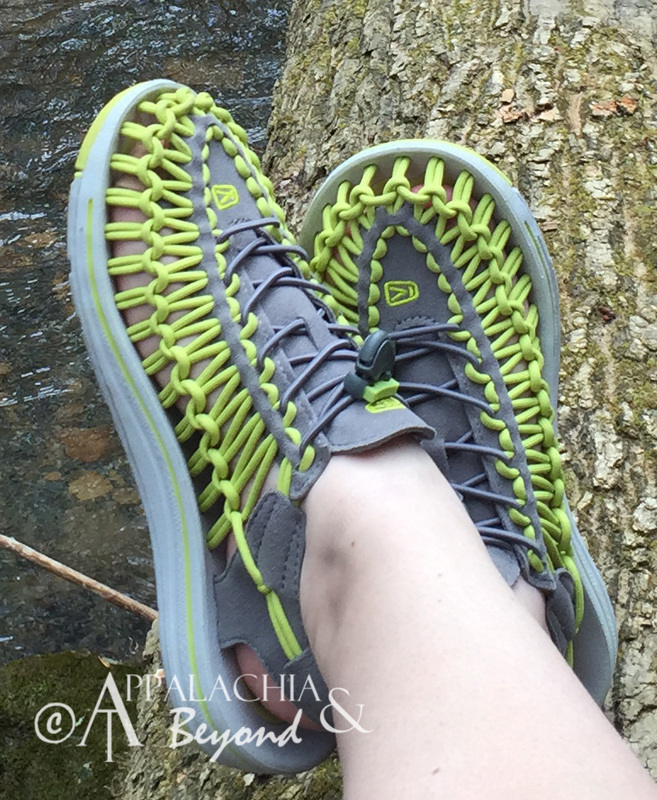 So when Keen approached me asking to review the new Women's Uneek Open Air Footwear, I jumped - literally! - at the opportunity to give them a try. My Keen Newports are my absolute favorite shoes on the face of this planet. 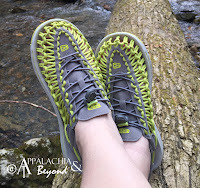 I've had them for years now, and they have been everywhere with me: from the tops of mountains, to creekbeds, to sandy shores, to muddy garden beds, and endless grassy fields. You name it, they've been there! And they are still in glorious shape - considering what I've put them through. Needless to say, I was pretty excited about the new Keen UNEEK's - an open air shoe/sandal made from a sole and two pieces of polyester braided cord intricately intertwined to form the body of the shoe - striking shock and awe the hearts of all solve-the-maze lovers, self-proclaimed origami experts, and the never ending curiosity of *those people* that can't help but take things apart (points at herself). -I have not ripped apart the shoes yet, just because they are SOOOO cool... not because I'm any less tempted to. I promptly put it on my foot - and despite thinking that surely those cords are going to find a favorite toe to rub a blister on, it fit - true to size - and was actually comfortable! Really, really comfortable in fact. I couldn't believe it. It took a couple of days of wearing them for about 2-3 hours at a time to get them molded to my foot and broken in well. After that, they were every bit as comfortable as my Keen Newports. They're strong and great for moving around muddy creek bottoms. They take a little longer to dry than some of my other shoes, but the dry time wasn't an issue for me. The sole is well made also. Keen touts a "razor siping for improved ground traction" on the tread. I'll be honest; I had to look that up. I didn't know what "siping" was but, thanks Wikipedia! I found the shoes to be a tad bit slick on certain surfaces, but overall - it's awesome for a sandal! The only real problem - something that won't be solved until sandals come with invisible shield barriers - was that debris kept getting in the shoe when I walked. This was only a problem on the trail, around gravel or small rocks, and in the water. But really I didn't find that they collected anywhere close to as much debris as my other Keen's. And to top it all off - they come in an array of variety of colors - men's and women's - and ring in at around $100.00. Give them a try! I know you'll love them! 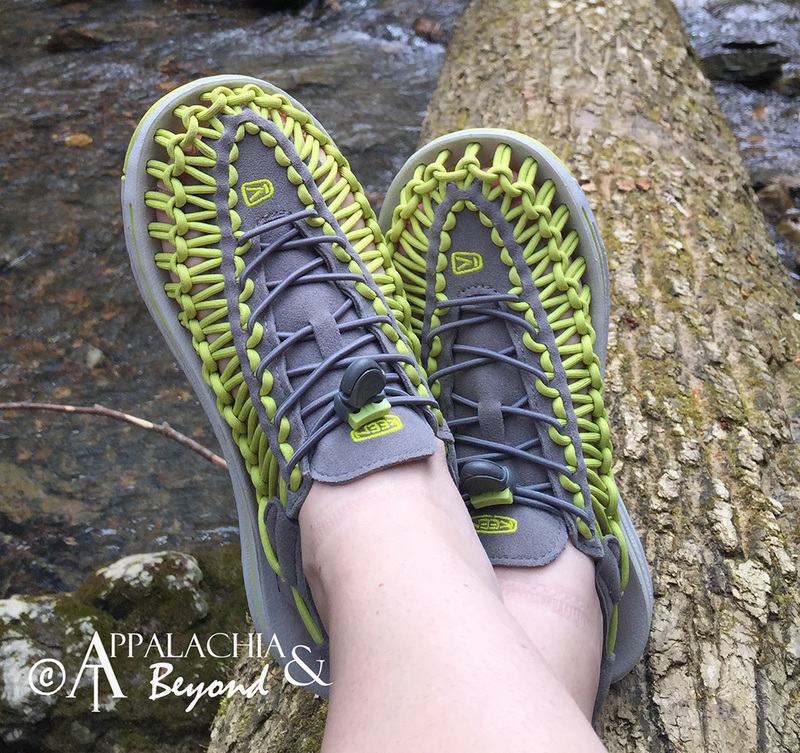 "There’s unique, and then there’s UNEEK - the new sandal from KEEN. 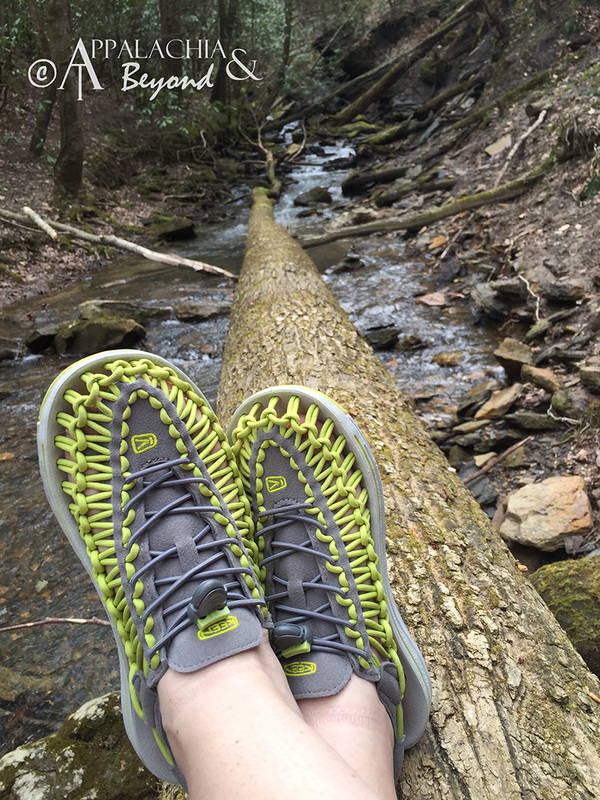 Using innovative two cord construction, KEEN UNEEK molds to your feet for the perfect fit. The two cords and a simple, free-moving cord junction design allow the upper to move and adapt to the shape of foot. This construction provides freedom of movement while providing security and structure. The lightweight PU midsole delivers durability and comfort while the high traction rubber outsole with razor siping ensures secure footing. Now that’s UNEEK. Two cords and a sole." 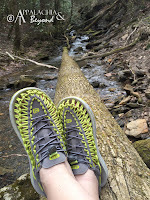 Disclaimer: Robin received the Uneek Open Air Footwear from Keen for review purposes only. Robin is not being compensated for this review. The opinions expressed above are Robin's independent thoughts and experiences.